Have you ever had this feeling before? Kumikita ka naman, ang saya kapag payday pero kapos pa rin at hindi nakakaipon. Akinse ngayon at Friday pa! It might be perfect time for you to sit down and check your spending habits. Ask yourself, once again. Do you have a written budget? May savings goal ka ba at the end of this month, year, after 3 years, 5, 10, retirement fund? Today, just wanna share with you one effective simple trick na natutunan ko, this might not work for all people but for me it works. Avoid cards and use cash. If you are struggling to meet your budget or seem to overspend by having cards (credit cards or debit cards) on your wallet, it might be a good idea to go back and use cash instead. But, cards offer a fast and convenient way to shop. You can also keep track of your spending by checking your monthly statement. Using cash may not always seem very convenient, but it is a great way to stop yourself from overspending. You can track down your spending by having an app or list your expenses on excel sheet/ notebook and paper. I used Google Spreadsheet so I have access anytime. If your card is lost or stolen, you can put a hold on your account immediately It's not a good idea to carry huge amounts of cash around with you all of the time, plan ahead and know what you need to buy. For me whenever we go to the grocery store, I have a list and take $20.00 cash with me. This help us to cut impulse purchases. Nowadays, most of us use several cards for our spending because of the convenience in purchasing it gives. Sometimes by having those cards we are tempted to swipe. Biruan nga namin minsan, "Ikaskas mo na yan!". These cards sometimes offer great rewards, rebates or cash back that makes it more attractive. The problem with this convenience is that we forget the true value of money because we can't feel it at all. We can't count it, caress it, spend it or give it because it's a card. A debit card, though worth the same as the cash, doesn’t give the same response too. We know the money is there and ours to spend but there is a distance, a lack of emotion. 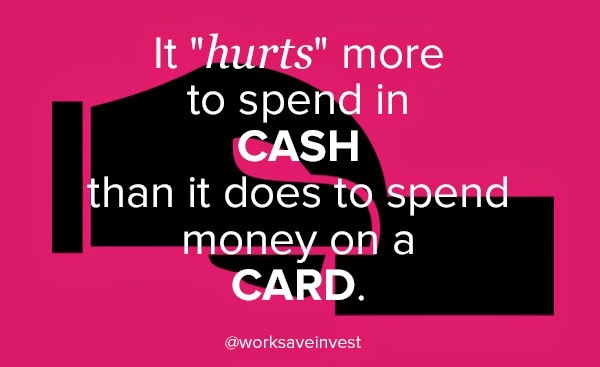 By continuously using cards, hindi na natin napapansin na most of the time by using it we ended up overspend dramatically. Now, I encourage you to take time and create your budget for a a week already. Have a clear idea what is the amount you need throughout the week. Know what you ned to buy. Once you have an idea of how much money you will spend, you should have that much cash only on your wallet at itabi mo na muna ang iba. For this case, I'm using envelope system for my allowance. 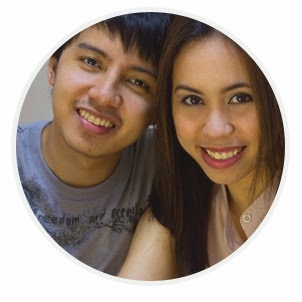 This one savings trick helps me in changing my mindset little by little in basic budgeting. Bottom line, do not use cards to avoid making big purchases. Stick to your budget and make sure to cover important things first like yung payment mo sa bahay (if you are renting), utilities bills, food, etc. necessities always come first. You are the one who makes the choices to spend money, to save money, to borrow money, etc. budget your money so you know what's going on and use it wisely.